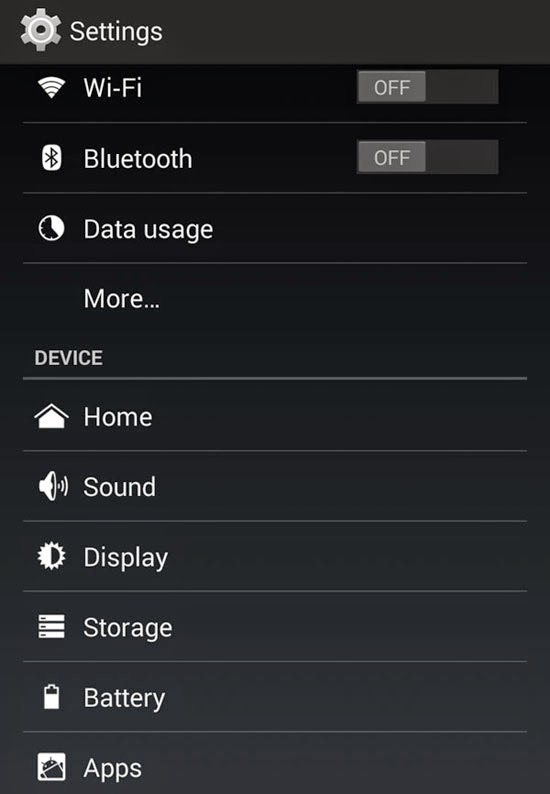 The notification bar or drawer in Android is a really useful feature available in all Android devices. This bar displays notifications related to calendar events, alarms and reminders, new email, messages, app updates, Facebook notifications etc. It keeps you up to date with the happenings of different apps that are present in your phone. The notification bar is undoubtedly one of the most useful features present in Android. But sometimes, too many notifications can be annoying. For example if you receive email messages continuously in Gmail, you get continuous notifications for it. You might not always want to be notified for every email that you receive. You might want to check your email manually. The same goes for too many Facebook notifications, Viber message notifications or any other notifications from apps. 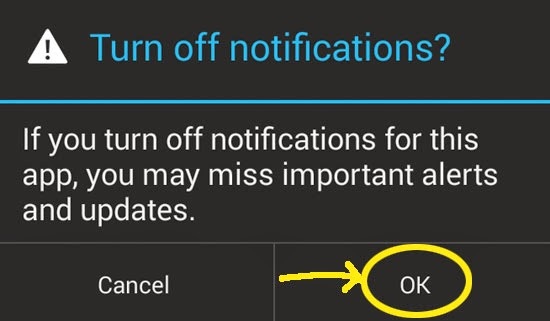 Android has a feature to tackle this and that is by disabling notifications for individual apps. Go to your main Android settings. It is accessible from your app drawer as "Settings" and the shortcut is also present in the notification drawer. 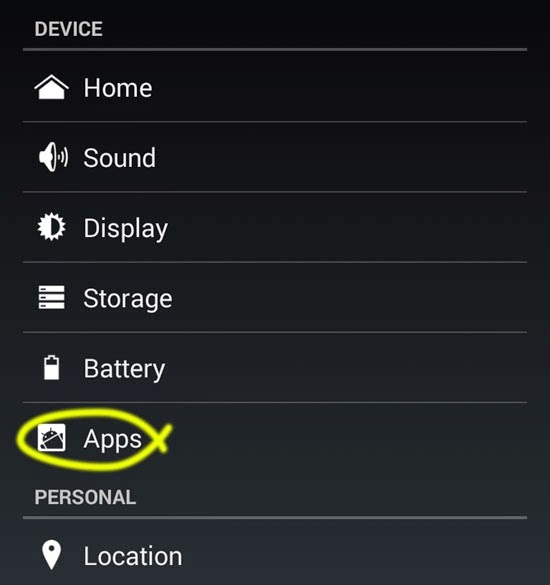 From your Android settings, under "DEVICE" heading locate "Apps" and then tap on it. 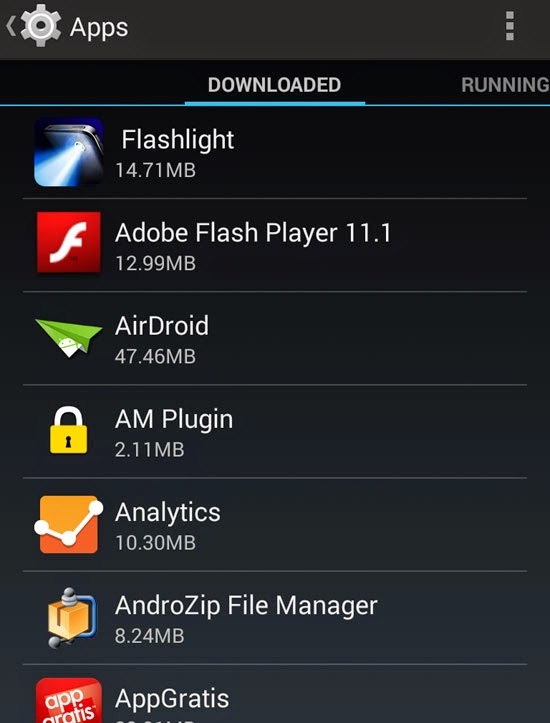 All the apps installed in your phone are displayed under headings: Downloaded, Running and All. Scroll around and find the app that you would like to disable the notification for. Tap on it to open its option. 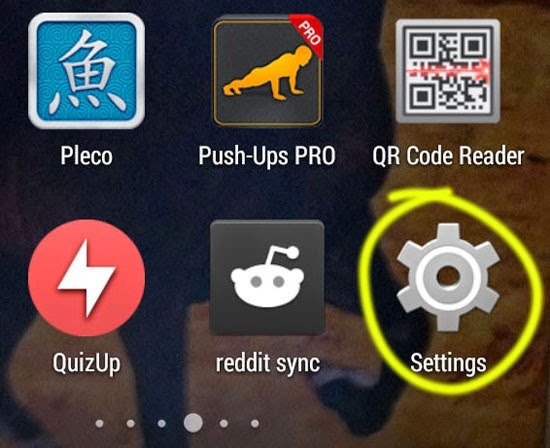 On the top region of the "App info" screen, you will find a check box labeled "Show notifications". The checkbox is checked by default. Tap on the checkbox to uncheck it. Confirm your action in the "Turn off notifications?" confirmation screen. Notifications for that particular app will now be turned off. 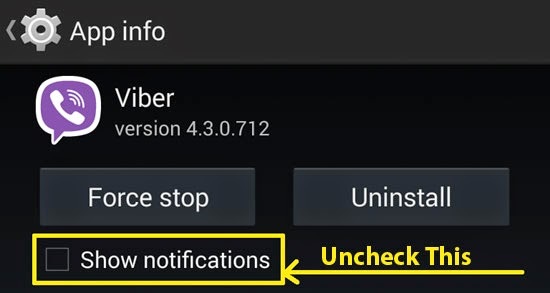 Note: To turn on the notification again, you will simply have to mark the check box again. You also miss out the app update notifications when you turn this feature off.